The fruits of limpatu or Prainea limpato var. longipedunculata are simply irresistible to some fauna as they are sweet and aromatic, smelling almost like banana when ripe. The limpatu tree near the parking lot of D4 building is frequently visited by squirrels which eat the fruits leaving very few intact bunches on the tree since it started fruiting in early June 2012. Limpatu is a member of the Moracae family. The species can be found in Peninsular Malaysia and Borneo and is known as buah kesusu or buruni in Borneo. 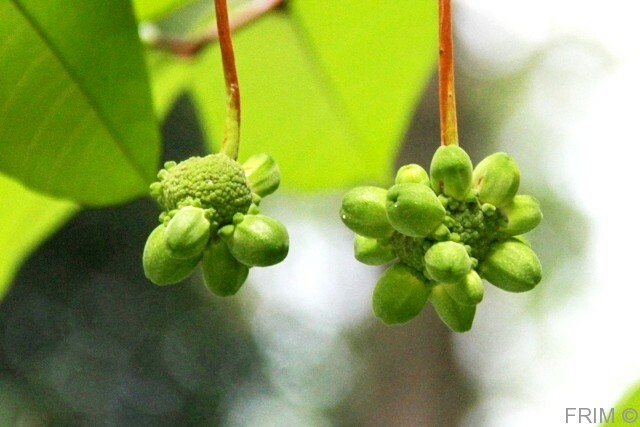 The green limpatu fruits will turn to bright orange when ripe. However, hardly any ripe fruits can be seen on the tree as the squirrels feed on the fruits even when green. The edible small pear shaped fruits (approximately 2 – 2.5 cm long) are borne in clusters at the end of a long peduncle which can reach up to 25 cm, hence the name of the variety. 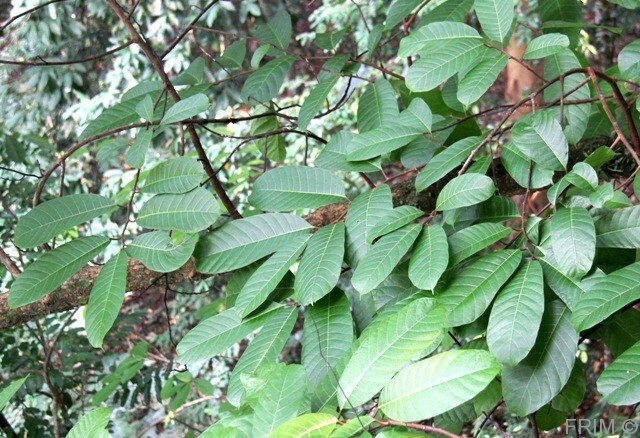 Limpatu is a sub-canopy tree which can grow up to 29 m.
Pictures by Ong Su Ping. A bunch of Limpatu fruits is about 6 cm in diameter. 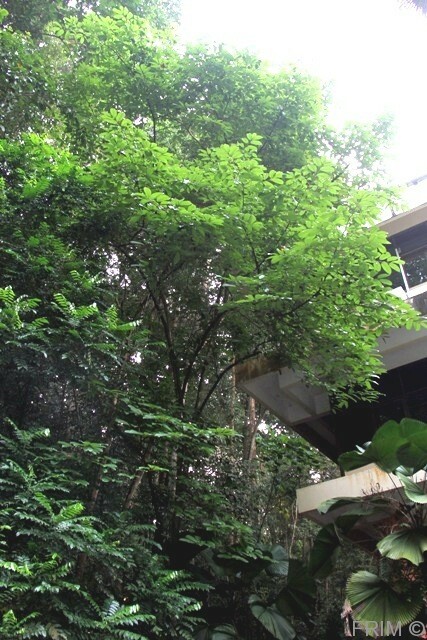 The Limpatu tree can be seen from the parking lot of D4 building.